The Grayhawk Association of Homeowners, Inc. City Liaison Committee is responsible for working with various City of Frisco offices on issues that may affect Grayhawk. 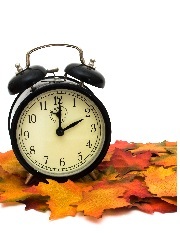 As of Sunday, March 10, Daylight Saving Time is in effect. In Frisco, time of day watering restrictions apply during DST. Irrigation controllers should be adjusted for the time change - do not set them to run between 10 a.m. and 6 p.m. Running your sprinklers in the early morning and evening helps minimize water loss due to evaporation. (January 9, 2019) The City of Frisco is launching a new, interactive map designed to help track coyote sightings as our community learns to live with urban wildlife. Frisco is asking the public to report coyote sightings by inputting data at FriscoTexas.gov/coyote. The map link is also available on the city’s myFRISCO app under ‘online services’. Download myFRISCO in your app store. Watch this video to learn more about the new coyote sighting reporting tool. Frisco Animal Services, a division of the Frisco Police Department, will use the information from this crowdsourcing effort to identify coyote territories, travel patterns and places where unusually aggressive animals have been spotted. Public sightings will immediately be pinpointed on the map, available for public viewing. The map will display a month’s worth of data and be regularly updated. Confirmed attacks on people and pets will remain on the map until further notice. Several known coyote attacks and incidents of aggressive coyotes have been reported in Frisco since October. The first report involved a passing driver who prevented an aggressive animal from attacking a pedestrian by honking. The next month, a Frisco police officer prevented another attack using his siren; in that instance, the officer’s ‘dash camera’ captured video of the coyote stalking the jogger. Also in November, a woman suffered severe injuries to her neck after being attacked while jogging. In a separate attack, a 9-year-old child was treated for minor injuries. In December, two other women suffered injuries after being attacked while jogging. In a separate incident, a coyote bit a small dog walking off-leash through its neighborhood. In all cases, the attacks happened during early morning hours, between 6 – 8:30 a.m. All of the cases happened along – or near – a stretch of Eldorado Parkway, between Granbury Drive and Rogers Road. Since October, Frisco has enlisted help from experts with Texas Parks and Wildlife (TPW) and the U.S. Department of Agriculture (U.S.D.A). Frisco has also contracted with trappers, who are helping remove aggressive animals. Those animals have been tested for rabies; in all cases, tests are negative. “That’s telling us the animals aren’t rabid, after all, but aggressive,” said Chief Bruce. Animal Services officers offer tips to help people and pets live with wildlife. Steven Lerner, Animal Services Supervisor, carries a standard whistle and tennis ball so he’s always prepared to scare an animal, if necessary. Mace, rocks, sticks or air horns are other types of tools that can be used to scare coyotes. “Make noise and make yourself appear ‘big’ if you see a coyote,” said Lerner. Avoid walking or jogging in areas known to be frequented by aggressive coyotes. This tip is for pets, too. Walk all pets on leash – it’s city law. It will also help you control your pet if you come upon wildlife. Listen for potential predators. We recommend one ear be ‘earbud’ free. It may help you beware of an animal -- or person -- who may be stalking you. Keep trash picked up, secure in containers. Overflowing bins, particularly those with food remnants, attract wildlife looking for ‘easy’ food sources. Do not leave pet food outdoors, unattended. Pet food attracts small wildlife (squirrels, rabbits) which may attract larger wildlife (coyotes, bobcats) naturally able to jump over high fences. Pick up dropped bird seed, daily. If you use bird feeders, pickup seed knocked to the ground which attracts small wildlife. Report all coyote sightings. Use the City of Frisco’s new interactive map at FriscoTexas.gov/coyote or call the Police Department’s non-emergency number at 972-292-6010. Call 9-1-1 for attacks or any aggressive animal sighting. Wildlife experts add, a ‘coyote roller’ is another tool homeowners can purchase and install atop fences to keep coyotes and other wildlife out of their backyards. A variety of ‘rollers’ are searchable on the internet. Biologists say coyotes are typically more visible to the public during mating season, which typically happens during winter months. Uncharacteristic weather patterns may be impacting animal habits. Experts also add, all metropolitan cities, nationwide, have coyote populations – so learning to live with animals is key. Experts advise it’s a good habit to pick up any trash inadvertently left behind in alleyways by on our trash collection days. On Wednesday, the Frisco City Council approved an amendment to the 2012 Master Settlement Agreement (MSA) which effectively ends pending litigation over the MSA and adds new details about ‘how’ to clean up Stewart Creek and the former operating plant (FOP), located on approximately 93 acres near downtown Frisco, east of Dallas Parkway and north of Stonebrook Parkway. Once the former plant area is cleaned up, in accordance with state and federal regulations, the City of Frisco hopes to lease the former industrial site and turn it into a community amenity. 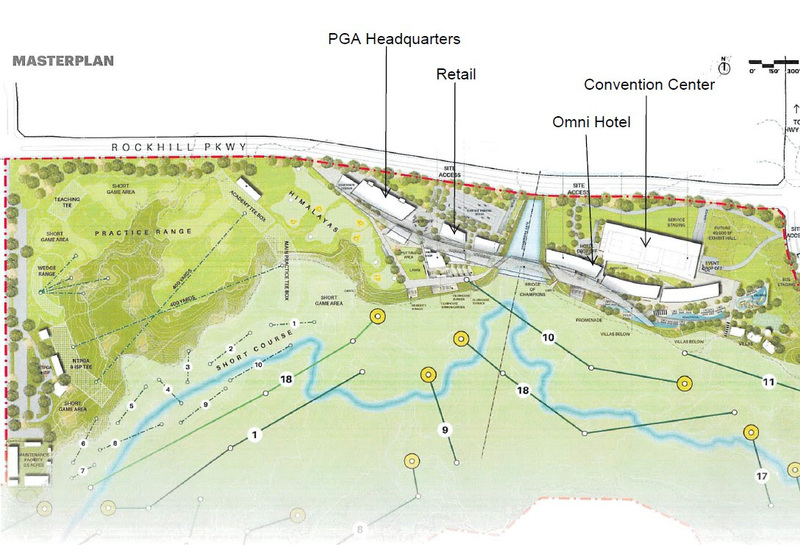 The 93-acre, former operating plant site is commonly referred to as the ‘Bowtie Parcel’ due to its shape. The ‘Bowtie Parcel’ is surrounded by approximately 170 acres of undeveloped ‘buffer’ property often referred to as the ‘J Parcel’. The ‘J Parcel’ (also named for its shape) will be purchased by Frisco’s Economic and Community Development Corporations from Exide for $45 million under the 2012 MSA. The $45 million has remained in escrow since 2012 because releasing funds was contingent on satisfactory cleanup of the 170 acres/’J Parcel’. Under the 2019 amended MSA, escrow funds will be released to Exide when a ‘Certificate of Completeness’ is issued by Texas Commission on Environmental Quality (TCEQ) for ‘J Parcel’ cleanup. However, before Exide can begin cleaning up Stewart Creek and the ‘Bowtie’, Exide will also be required to post a $25 million ‘Surety Bond’ naming TCEQ as beneficiary. The current estimate for cleanup is $25 million. “We’re satisfied $25 million will provide sufficient funds for TCEQ to clean up the (Bowtie) property in the event Exide is not able to complete the project,” said George Purefoy, City Manager. Within 60 days from execution of the 2019 amended MSA, the City of Frisco and Exide must agree on a modified Response Action Plan (RAP) – or cleanup plan. The RAP will include a ‘slurry wall’ along Stewart Creek adjacent to the former Exide plant to prevent groundwater contamination downstream. On the surface, Exide has agreed to a uniform cap system and will increase the soil cap over the ‘Bowtie’ from two feet to three feet. The City of Frisco will pay for costs associated with increasing the ‘soil cap’, currently estimated at about $600,000. Exide will present the modified RAP to TCEQ by June 1, 2019 for approval. J Parcel. In return, Exide will dismiss its lawsuit against the City of Frisco. Stewart Creek cleanup involves getting rid of any stray battery chips, which could require dredging and removing all contaminated sediment. City of Frisco consultants estimate cleanup of Stewart Creek could take 12 – 18 months. Consultants estimate cleanup of the ‘Bowtie’ (or former operating plant) could take another 18 – 24 months. “It presents a rare opportunity for Frisco, at this point in its development, to have such a large parcel of undeveloped land in the center of town for future projects,” said Ron Patterson, president, FEDC. “It’s good news that the disputes concerning the cleanup have been resolved and we will be able to begin planning the best use of the property,” said Wren Ovard, chair, FCDC. The FEDC and FCDC will consider the amended agreement at regularly scheduled meetings in January. ((December 18, 2018) The City of Frisco is temporarily banning motorized scooters (and other devices) offered for rent in public rights-of-way until regulations for operating and using such services are in place. The moratorium was unanimously approved by the Frisco City Council during another ‘special called’ meeting Tuesday, Dec. 18. On December 5, Bird Rides, Inc. dropped off scooters on sidewalks and in public rights-of-way throughout Frisco. During Friday’s ‘Special Called’ meeting, Bird Rides, Inc. reported “about 200” scooters were “nested” in the city. As a result, city leaders and staff are concerned the scooters may pose safety risks to the public without an ordinance in place. Besides a same-day-email to Mayor Jeff Cheney informing him this occurred, no one from the company contacted the City of Frisco to review rollout plans or get permission. Following Friday’s meeting, Bird Rides, Inc. was given a deadline of 8 a.m., December 17 to remove its entire fleet of scooters from the city. Bird Rides, Inc. failed to do so. To date, city code enforcement officers have collected 210 scooters, including 45 picked up today. Under Frisco’s new, temporary moratorium, the city may remove and/or impound the scooters. Service operators could be subject to a $50 fee per scooter if impounded by the city. The City of Frisco may dispose of the impounded scooter after 30 days. Any violation is a misdemeanor punishable by a $500 fine. The temporary moratorium also applies to electric bicycles, bikes equipped with GPS and other similar personal transportation devices. This groundbreaking agreement is estimated to have an economic impact of more than $2.5 billion over the next 20 years based on a city commissioned tourism feasibility study. ** The study considered the economics of golf course activities, including tournaments, plus the additional impact from the new conference center. Read the full news release here. (October 2, 2018) The City of Frisco will treat for mosquitoes after receiving confirmation two mosquito pools tested ‘positive’ for West Nile virus (WNV). Beginning Saturday, October 6, a third-party contractor will drive the area north of Panther Creek and Teel Parkways (near Northwest Community Park), fogging for mosquitoes (see attached map). The city contractor will also drive a designed area south of Eldorado Parkway, between Independence and Custer, fogging for mosquitoes (see attached map). In both cases, treatment will begin at 9 p.m. Saturday and continue through 6 a.m. Sunday, October 7. Spraying resumes Sunday night at 9 p.m. and continues through 6 a.m. Monday, October 8. This treatment plan is weather permitting. “While we know that ‘nuisance’ mosquitoes are active right now, we’re seeing a relatively low number of the type of mosquitoes that can carry West Nile virus in our traps,” said Julie Fernandez, Frisco’s Environmental Health Supervisor. These ‘positive’ pool confirmations bring the total to four in Frisco this year. No human cases have been reported in the city. The City of Frisco supports four precautionary habits promoted by the Texas Department of State Health Services. Use approved insect repellents: Use repellent every time you go outside. Approved repellents contain DEET, picaridin or oil of lemon eucalyptus. Follow label instructions. Drain standing water: Drain water that collects in bird baths, French drains, clogged gutters, saucers under potted plants and ‘splash blocks’ (at end of gutter down spout). The mosquitoes that carry WNV breed in stagnant water. Wear long sleeves, pants at dawn and dusk (when mosquitoes are most active). Use air conditioning: Make sure doors and windows are screened – and those screens are intact. In accordance with its plan, Frisco began testing for mosquitoes May 1. Weekly testing will continue through the second week of November. For more information on the city’s Mosquito Surveillance and Response Plan, visit Friscotexas.gov/Mosquitoes or contact the City of Frisco’s Health & Food Safety Division at 972-292-5304. (September 19, 2018) Frisco’s property tax rate will stay the same during the next fiscal year. On Tuesday night, Frisco City Council members adopted a flat tax rate of .4466 – one of the lowest rates in North Texas. Frisco Council members also approved a $507 million total budget which takes effect October 1, 2018. The new budget includes a $173 million General Fund. Nearly 70-percent of the General Fund pays for employee salaries and benefits. The FY19 budget supports 46 new positions including 26 police and firefighters. The budget also funds 20 part-time firefighters to work special events. The General Fund pays for salary increases to recruit and retain employees. It also supports a performance-based merit system for eligible employees (to average 3-percent). Rising insurance costs are covered and design will begin on an Employee Health Clinic as part of the city’s wellness program. "Our employees are Frisco’s most important asset," said George Purefoy, City Manager. "They have public service as their top priority. As long as we are able to keep quality service to our citizens as our prime goal, Frisco will be successful." The FY19 budget closely aligns with the city council’s Top Ten Priorities. It sets aside funds for implementing innovative traffic solutions and developing an ‘arts strategy’, which considers a Performing Arts Center. The General Fund continues to build capital reserves. It supports staff’s work to protect the city’s legislative interests and monitor action by state lawmakers. The new budget commits dollars to downtown redevelopment, which includes designing a pedestrian friendly plaza at 4th & Main Streets. The FY19 budget dedicates capital investments to support the city’s partnership with the University of North Texas, which will build a Frisco campus in the next few years. Developing plans to expand city facilities and master planning parks and trails are provided for in the FY19 General Fund. City leaders and staff will work to create an ‘identity’ along Frisco’s northern border, U.S. 380. The budget also supports implementing a strategic plan for the Frisco Economic Development Corporation. The budget also accounts for a 2-percent water rate increase, which the city is ‘passing through’ following an increase from the North Texas Municipal Water District. The residential trash collection monthly fee will also increase $1 dollar. Both increases take effect in January 2019. Staff will continue to use larvicide to target areas of standing water in areas north of Panther Creek and Teel Parkways (near Northwest Community Park). Staff will also work with the city’s third-party contractor to ramp up the mosquito surveillance program, which identifies potential breeding hazards citywide. This confirmation is the first ‘positive’ pool received in Frisco so far this year. No human cases of the virus have been reported in the city. “With all the rainfall we’ve received in recent weeks, it’s important for people to remember to drain the standing water around their homes,” said Julie Fernandez, Frisco’s Environmental Health Supervisor. The City of Frisco is proud to let its customers know that they receive safe, high-quality drinking water. Each year, the City of Frisco provides an annual drinking water quality report to its water customers. This report, often referred to as the consumer confidence report, is required by the United States Environmental Protection Agency through the 1996 Safe Drinking Water Act. 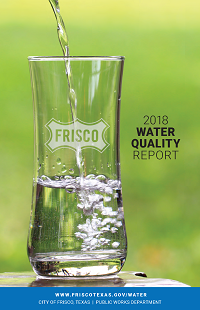 Frisco's 2018 Annual Water Quality Report is now available online. To receive a printed version of this report, contact the Public Works Department during regular business hours at 972-292-5800. Moody’s Investors Service upgraded the city’s bond rating to Aaa from Aa1, citing Frisco’s “healthy revenue growth” and “strong fiscal position”. The Aaa rating demonstrates the strongest creditworthiness relative to other U.S. municipal or tax-exempt issuers or issues. City leaders received word yesterday, May 31, about the bond rating upgrade. George Purefoy, City Manager, noted it’s an achievement that has been on Frisco’s ‘wish list’ since he was hired in 1987. He credited Nell Lange, Assistant City Manager as well as Anita Cothran, Director of Financial Services, and her staff for the milestone accomplishment. “I can tell you for certain that without the outstanding leadership of Nell, Anita, and their great team Frisco would not be at this point in its financial history. I will never be able to thank them enough for the great job they have done with the city’s finances,” said Purefoy. Lange noted Moody’s also recognized Frisco’s proactive financial management practices to increase its operating expenditure reserves or ‘rainy day fund’. 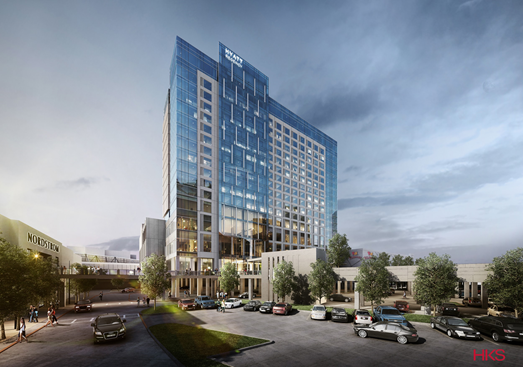 (May 9, 2018) The Hyatt Regency Stonebriar has broken ground at Stonebriar Centre. The 18-story, 303-room hotel will feature a parking garage, conference center, and a city library. The hotel developer is Sam Moon Group; contractor is Brasfield & Gorrie; architect is HKS, Inc. and Looney & Associates will manage the interior designs. The hotel will be attached to the Stonebriar Centre mall on the second floor and will be located between Nordstrom and Dillard’s. The project features a 54,585 square-foot conference center including a grand ballroom, junior ballroom and additional breakout spaces; an 800-space parking garage, of which 200 spaces will be available for game-day parking at the nearby Dr Pepper ballpark; and a 3,000 square-foot Frisco Public Library available for use by hotel visitors and city residents which will connect directly to the mall. The public-private partnership agreement calls for the City of Frisco and its development corporations, which are supported by a half cent sales tax, to contribute a total $16.5 million to the project over a 20-year period. Specifically, the Frisco Community Development Corporation will provide $3 million; the Frisco Economic Development Corporation will commit $3 for infrastructure; and the City of Frisco will spend $10.5 million to buy the conference center when construction is finished. The Moon Hotel Stonebriar, Ltd. is responsible for all cost overruns, as well as maintenance and operations. Moon Hotel Stonebriar, Ltd. will also lease the publicly owned conference center space from the City of Frisco for $10,000 each year. The partnership also provides 3,000 square feet of space to be used by the Frisco Public Library. The city will pay for the library ‘finish out’ construction as well as utilities. The City of Frisco will lease the library space for $1 each year for 20 years. (May 7, 2018) California-based self-driving car company Drive.ai today announces a pilot program to bring an on-demand self-driving car service to Frisco, Texas beginning in July 2018. 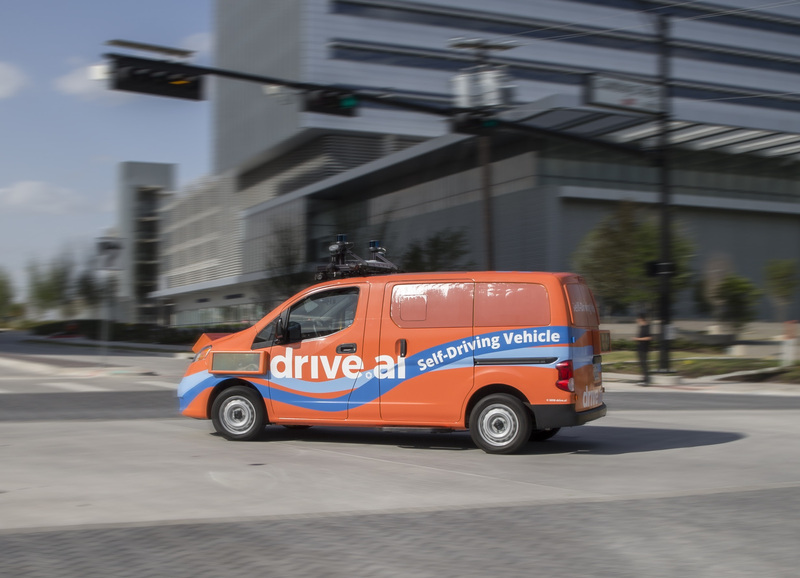 Working in cooperation with the Frisco Transportation Management Association (TMA), Drive.ai will offer rides to over 10,000 people in self-driving vehicles within a geofenced area comprised of retail, entertainment, and office space. The initial pilot will run for six months, beginning with fixed pickup and drop-off locations around HALL Park and The Star, and with planned expansion into Frisco Station. This program is a milestone for the State of Texas, marking the first time members of the public will have access to an on-demand self-driving car service on public roads. This pilot program is a model for the deployment of self-driving vehicles in a public setting, one of the first of its kind in the nation, and a major step forward for the industry. Drive.ai’s self-driving on-demand service will be operated in conjunction with Frisco TMA, a public-private partnership dedicated to bringing innovative last-mile transportation options to the growing population of Frisco, Texas. The Frisco TMA includes the City of Frisco, HALL Group, Frisco Station Partners, The Star, and the Denton County Transportation Authority, which will administer the program. (May 5, 2018) Early voting results are in for today's General Election to fill City Council Places 1 and 3. Click here to see the unofficial tabulation of early votes. Already recognized as a national leader in innovative traffic solutions, the City of Frisco is partnering with the Denton County Transportation Authority, Frisco Station Partners, HALL Group and The Star to improve connectivity between several mixed-use developments in Frisco’s ‘North Platinum Corridor’. The agreement was approved by the Frisco City Council during its May 1, 2018 meeting. This new partnership, known as the Frisco Transportation Management Association(FTMA), is focusing on solutions like improving walkability, ride-sharing, connected vehicles (with traffic signal data sharing), and introducing driverless vehicle service between The Star, HALL Park and Frisco Station developments. Through this partnership, the Frisco TMA is committed to launching a summer pilot program focusing on autonomous vehicles, also known as ‘driverless’ cars. The exploration into an innovative, autonomous vehicle pilot program follows an earlier announcement from Uber Elevate and Hillwood to develop one of the nation’s first vertiports at Frisco Station. Last May, HALL Park also introduced Frisco’s first bike share program to encourage connectivity between surrounding developments. “Frisco is positioned to be America’s top corporate destination, and Frisco Station is committed to working with our partners in the Frisco Transportation Management Association to evaluate creative, multi-layered mobility options that will enhance connectivity within Frisco’s largest emerging corporate and entertainment developments,” said Mike Berry, president of Hillwood, Frisco Station’s master developer. “By working together, we will connect employers, employees, residents and visitors within Frisco’s North Platinum Corridor in new and varied ways, convenient to their lifestyles. “We are constantly looking for ways to enhance mobility and traffic to The Star and the surrounding areas, and by joining the FTMA committee and this partnership, we are set to accomplish this incredible feat through technology and travel for more people to visit Frisco,” said Chad Estis, Dallas Cowboys Executive Vice President of Business Operations. (May 1, 2018) It’s official. The ‘eagle has landed’ in Frisco, giving new meaning to the phrase. Unanimous approval of a new ‘public-public’ partnership between the City of Frisco, its Frisco Economic and Community Development Corporations and the University of North Texas (UNT) makes way for what will ultimately be a branch campus to serve at least 5,000 students, providing higher education and research opportunities for future generations. The future UNT branch campus will be located at the southwest corner of Preston Road and Panther Creek Parkway on 100 acres of land, to start, provided by the City of Frisco at no cost. UNT will purchase a 50,000-square foot, FEDC-owned office building, 6170 Research Road, for about $8.5 million. Under the purchase agreement, UNT will take ownership of the property Oct. 1, 2018. The new ‘public-public’ partners also will consider other joint projects including, but not limited to, facilities, parks and open space, and parking. UNT President Neal Smatresk said UNT is proud to be the City of Frisco’s chosen partner in providing innovative learning and partnership opportunities of the highest quality to the people, communities and businesses of Frisco and the greater Collin and Denton county areas. “With this partnership, UNT will bring the innovation and ambition that UNT embodies as one of the nation’s 115 Tier One research universities to the City of Frisco,” said UNT President Neal Smatresk. Currently, UNT teaches more than 1,500 students in Collin County each semester – about 1,200 at the UNT New College at Frisco, which opened in Hall Park in spring 2016, and about 400 at the Collin Higher Education Center in McKinney. As one of the fastest growing cities in the nation, Frisco is home to a population seeking convenient higher education opportunities that respond to a complex, forward-looking community of industries. As the city continues to grow, the Frisco Independent School District is projected to add at least 10,000 more students by 2022. 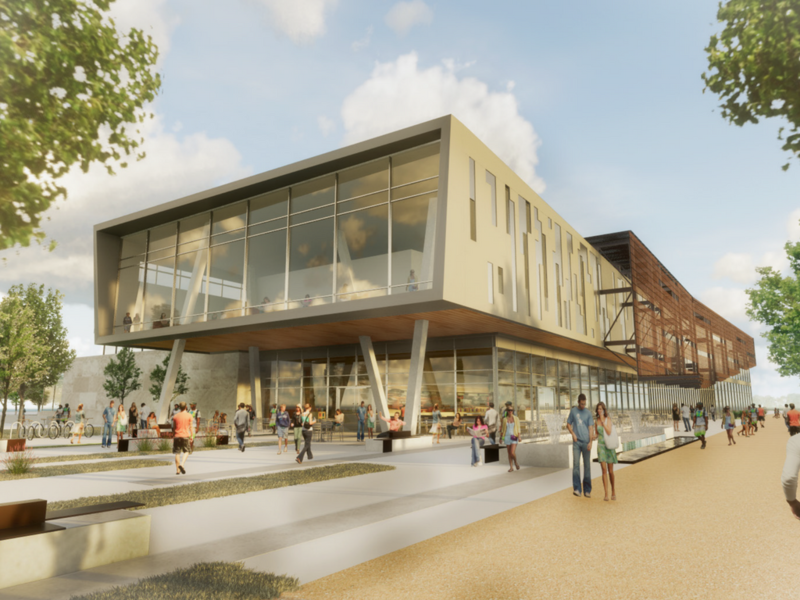 “We (FCDC) saw this as a major opportunity to invest in a four-year, top notch university which has always been part of the City of Frisco’s long-term vision,” said Wren Ovard, chair, Frisco Community Development Corporation. Construction on the branch campus will be completed in two, 50-acre phases. UNT has the option to buy another 50 acres for approximately $185,000 per acre. The 100 acres of city property being exchanged as part of the UNT partnership is part of the city’s 390-acre land purchase from Brinkmann Ranch earlier this year for $61 million. The remaining 240 acres will be used for City of Frisco athletic fields. Construction on the UNT branch campus is scheduled to start no later than March 2022. A master plan for the initial site will be developed with representatives from Frisco. Registration at the UNT New College at Frisco in Hall Park is underway for summer and fall offerings. Classes leading to degrees at the undergraduate and graduate level are available. UNT’s offerings in Frisco are perfect for students seeking careers in business, education, design, analytics and sports. Learn more at unt.edu/newcollege or call 972-668-7100 or email UNTFrisco@unt.edu. For questions about specific programs, contact the UNT Office of Advising Services at 940-565-3633 or email untadvising@unt.edu. (April 3, 2018) The City of Frisco says extra water quality tests, conducted by an independent laboratory, show the city’s water is safe. An additional eight tests for disinfection by-products, specifically total trihalomethanes (TTHM), were performed by Lower Colorado River Authority (LCRA). The additional TTHM tests, performed at eight locations throughout Frisco, show levels averaging 80.1 parts per billion (ppb). The Texas Commission on Environmental Quality (TCEQ) reports the maximum contaminate level is an average 80 ppb over the course of a year. In the case of Frisco’s recent, eight additional tests, the average level of TTHM is a tenth higher than the state threshold; however, Frisco also reports TTHM tests averaged 44.8 (ppb) over the last three quarters. TCEQ conducts those tests quarterly. Frisco’s ‘extra’ tests for TTHMs were conducted following residents’ concerns the city’s water smelled like chlorine. Frisco contracted with an independent lab to take water samples on March 26 -- the last day of the ‘chlorine maintenance period’ conducted by the North Texas Municipal Water District (NTMWD). As a result, Grant says Frisco was still receiving water with ‘pure chlorine’ when the water samples were taken and could account for the independent results being a tad higher. Grant says even though the NTMWD ‘turned on’ ammonia after March 26, it can take a couple days for ammonia to mix with chlorine to produce chloramines, a residual disinfectant used to fight disease. The Texas Commission on Environmental Quality (TCEQ) completes quarterly tests for TTHMs. For more information about Frisco's daily water testing, click here. (March 26, 2018) The North Texas Municipal Water District’s ‘chlorine maintenance period’ ends today, Monday, March 26. As a result, it may take about a week for Frisco’s water to smell less like chlorine. Mayor Jeff Cheney and City Manager George Purefoy have released a letter to the Frisco community, responding to questions and concerns about water quality and safety. The information below comes from Frisco Public Works Assistant Director Kevin Grant. The City of Frisco receives drinking water from North Texas Municipal Water District (NTMWD) and then distributes that water throughout our city. The U.S. Environmental Protection Agency (EPA) requires public water systems be tested for as many as 97 federally regulated primary constituents. All drinking water, including bottled water, may contain trace elements. The presence of such trace elements does not necessarily indicate the water poses a health risk. Why does my water smell like chlorine? In short, the lack of ammonia during a ‘chlorine maintenance period’ makes your water smell like chlorine. Since February 26, 2018, the NTMWD has been conducting its annual chlorine maintenance on water transmission and member city distribution systems, which includes Frisco. Today, March 26, the 28-day period ends. The annual chlorine maintenance period helps reduce the need to flush water systems to maintain chloramine residual required by TCEQ. Chlorine maintenance also prevents potential bacteria during warm weather months and helps conserve water. Because the ‘chlorine maintenance period’ ends today, it may take a week before the chlorine smell is less noticeable. It’s important to note, state and federal regulations require all water systems have a minimum amount of residual disinfectant. Our water system uses chloramines as a residual disinfectant. Chloramines are a mixture of ammonia and chlorine. The mixture is used because it lasts longer than pure chlorine. Over time, chloramines produce a small amount of free nitrogen (and/or ammonia) which feeds bacteria. If bacteria grows and overpopulates, it may cause problems for the water system because chlorine levels are too low to fight potential diseases. As a preventive measure, every year the NTMWD removes the potential food source (bacteria) by turning off the ammonia and using pure chlorine as the disinfectant. The NTMWD reports NO additional chlorine is added. The procedure is performed in cooler months because chlorine lasts longer in cooler temperatures. Without nitrogen as a food source, existing bacteria starves and dies, helping prevent more bacteria from growing (blooming) during summer. Frisco’s water division staff conducts 60 to 100 chlorine residual tests a week to ensure our disinfection levels meet state requirements. The TCEQ hires an independent laboratory to conduct quarterly water system tests for nitrates, nitrites and Tri-Halomethane (THM). The City of Frisco takes additional measures, testing eight more locations for nitrates and nitrites. City of Frisco test results for nitrates, nitrites or THM have never reached ‘action level’. In other words, Frisco has never exceeded the maximum contaminate level (MCL) established by EPA and considered potentially dangerous to public health. (March 21, 2018) The North Texas Municipal Water District (NTMWD) today released recent additional water test results showing that levels of disinfection by-products measured during its annual temporary chlorine maintenance are well within regulatory standards. The tests were conducted by a certified, independent testing firm and confirm that NTMWD drinking water is safe. Click here to read more. Today, NTMWD also released a letter from the Texas Commission on Environmental Quality (TCEQ), dated March 20, related to "chloramines for surface water treatment distribution". To see the letter, click here. The NTMWD also provides a link to its water quality reports and a 'Journey of Water' video for your information, convenience. (March 20, 2018) The North Texas Municipal Water District says it meets or exceeds all standards of the Safe Drinking Water Act. Wondering how NTMWD treats drinking water? NTMWD answers questions about water treatment, disinfection and chlorine maintenance in a this FAQ. Click here to find answers to frequently asked questions. Check out Frisco's most recent water quality report here. You can also watch some videos about Frisco water quality, supply, conservation and free sprinkler system checkups by clicking here. The City of Frisco communications team produced these videos last summer as part of our '100 Days of Progress in Motion' series. (February 21, 2018) The City of Frisco experienced sanitary sewer manhole overflows west of the Stewart Creek wastewater treatment plant overnight on Tuesday, February 20 into Wednesday, February 21. This event was the result of recent rains and an undetected, overnight power outage at the plant, which is operated by the North Texas Municipal Water District. City of Frisco Public Works employees were notified of issues at the plant by NTWMD at 4:45 a.m. on Wednesday. Upon investigation, city employees identified sanitary sewer overflows at three locations west of the plant. The impacted areas are along the creek corridor and not easily accessible by the public. Power was restored to the facility at 5:45 a.m. This event did not impact the NTMWD potable water system; drinking water delivered by the City of Frisco is safe for human use and consumption. City staff estimates the volume of the sanitary sewer overflow at approximately two million gallons. This overflow entered Stewart Creek, and was combined with and diluted by stormwater runoff. Because of ongoing wet conditions, staff expects this event to be contained by the end of Wednesday. The public should avoid contact with waste material, soil or water in the impacted area. (January 16, 2018) The City of Frisco will purchase 390 acres of land – the majority of which will be used to grow its park system. Tonight, the Frisco City Council unanimously approved an agreement to purchase property from Brinkmann Ranch for a total cost of $61 million. Located at the southwest corner of Panther Creek Parkway and Preston Road, about 240 acres will be used for athletic fields; the rest of the land will be used by the city’s community and economic development corporations for future development projects, which could include city facilities. The 2016 Parks Master Plan identifies ‘build out’ population as 350,000 residents. It also notes a target goal of 11.5 acres per 1,000 people. The City of Frisco already owns 1,600 acres of land dedicated to parks, including 900 acres of developed parks. With the addition of the ‘Brinkmann Ranch’ property, Frisco’s dedicated park space totals approximately 1,840 acres. There is no design and/or master plan at this time for the new 240 acres of city park land. The number and type of fields has yet to be determined; however, staff says a variety of athletic field needs will be considered for the open ‘green’ space including, but not limited to, baseball, football, soccer, tennis, volleyball, lacrosse and cricket. Staff also envisions turf practice fields, hike and bike trails, even a pond be incorporated into the park’s design. Ample parking will also be a priority. January 11, the Frisco Community Development Corporation board voted to use $23 million in fund balance reserves to purchase 100 of the 390 acres. The Frisco Economic Development Corporation will consider purchasing 50 of the 390 acres at a future meeting. The City of Frisco plans to use general obligation bonds to pay for its portion for the approximate 240 acres.